We found a fellow racer on Facebook who had built a very impressive bike, and we had to know more about it. He was nice enough to set aside some time and give us information on his racing background and his one-of-a-kind machine. 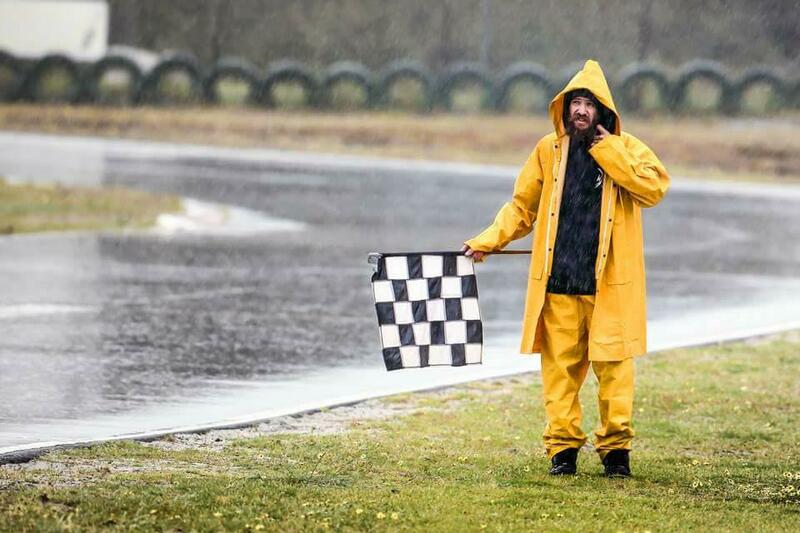 In addition to racing and building his bikes, McQueen gives back to his local circuits with flag man work, rain or shine. Currently, McQueen swings on a speedway sidecar for his good friend Ricky Wright, as well as swinging on an F2 road racing sidecar with Simon Davies that’s currently set up for the Isle of Mann (could you imagine manning a sidecar in the Isle of Mann??). 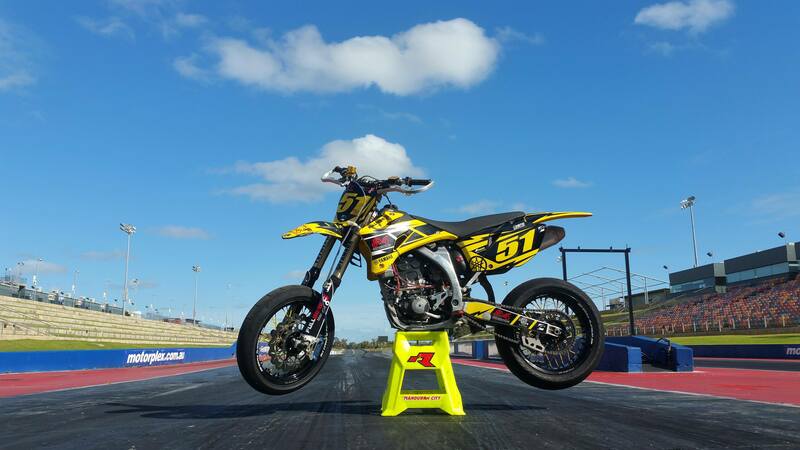 The race bike Steven built for himself is raced in the Supermoto club of Western Australia. 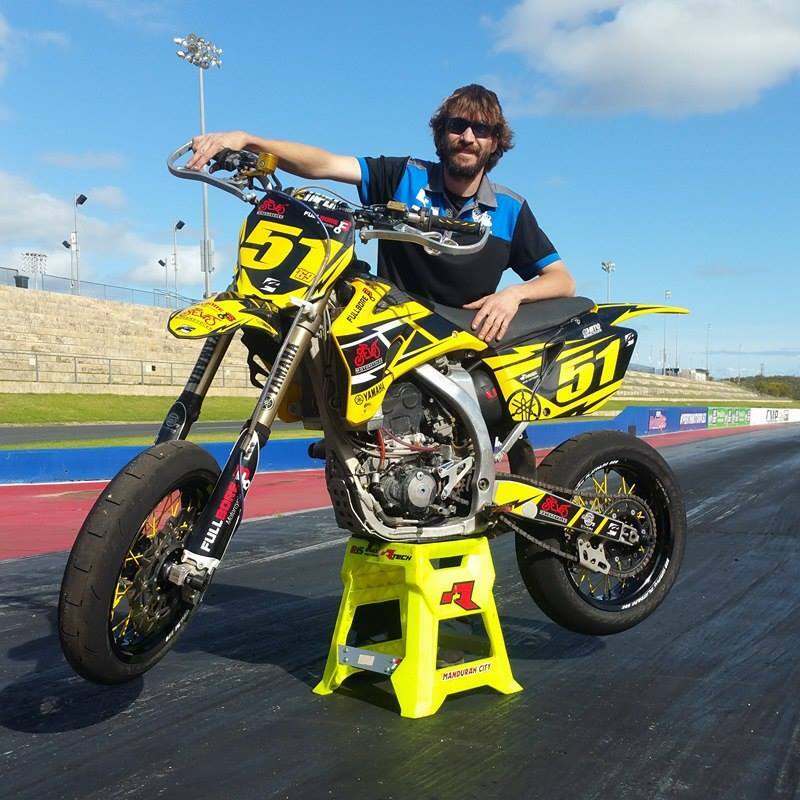 He races in Open, Mini Motards, and Postie (stock engine) classes. 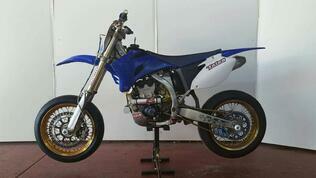 McQueen's 2008 YZF250, before (left) and after (right). Check out his full list of mods below. 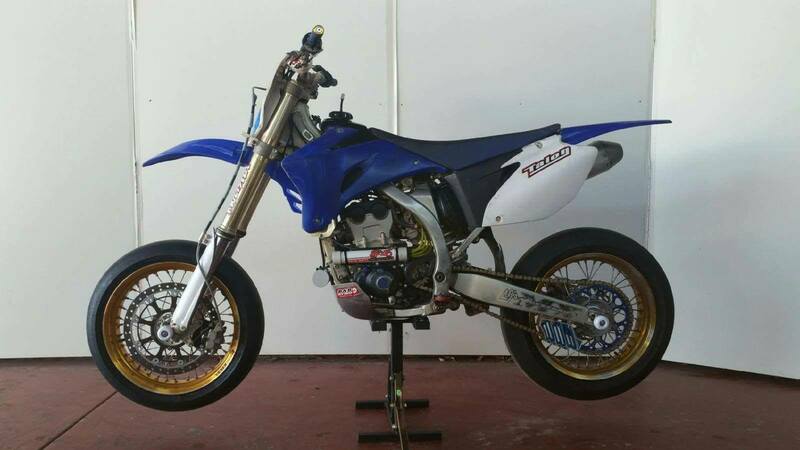 This is easily the most impressive YZF250 supermoto conversion we have seen. The attention to detail and focus on best combined performance and reliability is very respectable. Steven would like to thank the family at Steve’s Motorcycles and Full-Bore Motorcycles in Midland, West Australia. These people played a big role in making his build possible. ProX would like to give a big thank you for Steven for taking time to share his information and photos with us! ProX connecting rods are double-forged from Japanese steel, and are made by manufacturers that supply OEMS. They are shot-peened for additional strength, and provide strong reliability while maintaining affordability. Check out the full details ProX connecting rods here. ProX also supplies OEM quality bearings with their connecting rod kits, which are also made by OEM suppliers, so you know you’re getting the same long-lasting reliability. 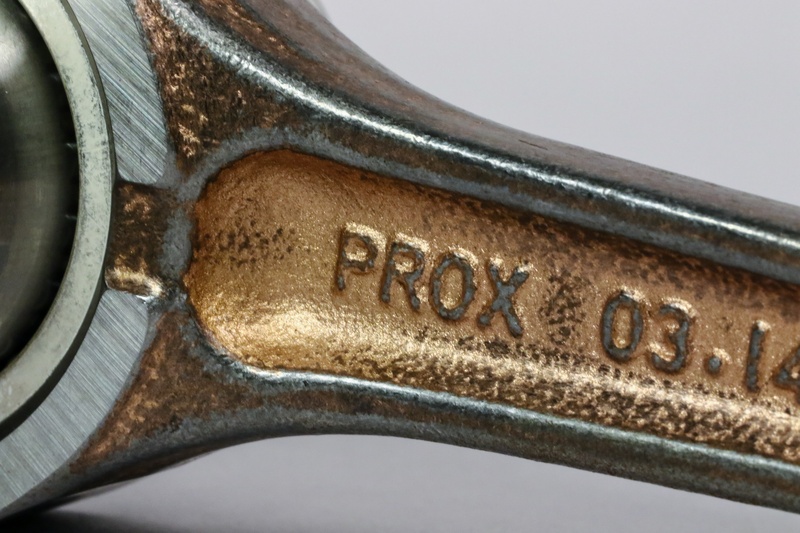 ProX connecting rods are double forged from Japanese steel, shot-peened, and come with OEM quality bearings, all in one package. ProX also recognizes that while stock Titanium valves provide great initial performance, they do not stand up to long-term demands of racing, and will need to be replaced sooner. ProX’s steel valves are a direct OEM fit, and are more durable than their Titanium counterparts, especially under stressful racing conditions. ProX valves and valve springs are made by OE manufacturers for a precise fit, and are made to meet tolerances required for long-term reliability. 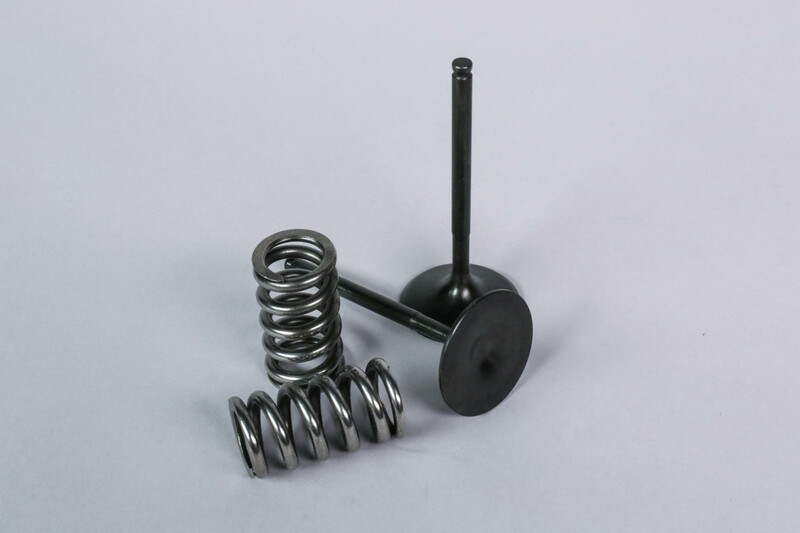 ProX valve springs and clutch springs retain the stiffness needed for a properly function valve train, and a desirable feel of the clutch lever pull. ProX seals and gaskets are also made by OEM suppliers to ensure OEM quality sealing will stay consistent throughout operation of the motor. ProX chains are offered in everything from standard to gold, in normal, o-ring, and x-ring configurations. ProX chains and sprockets are by made a premium alloy manufacturer, and the sprockets are Teflon coated for added wear resistance. 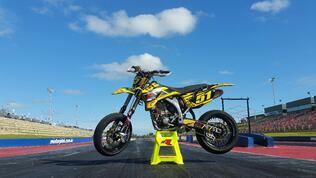 Many race teams have tested and loved ProX chains and sprockets for their durability and precise quality. 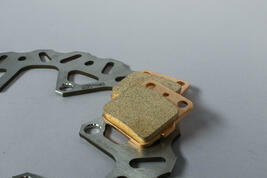 ProX also offers upgraded brake rotors and pads. Brake rotors feature a wave design for better braking response and cooling. ProX brake pads feature a sintered, long-life material, bringing good braking performance to an affordable price level. Read more about ProX braking products. 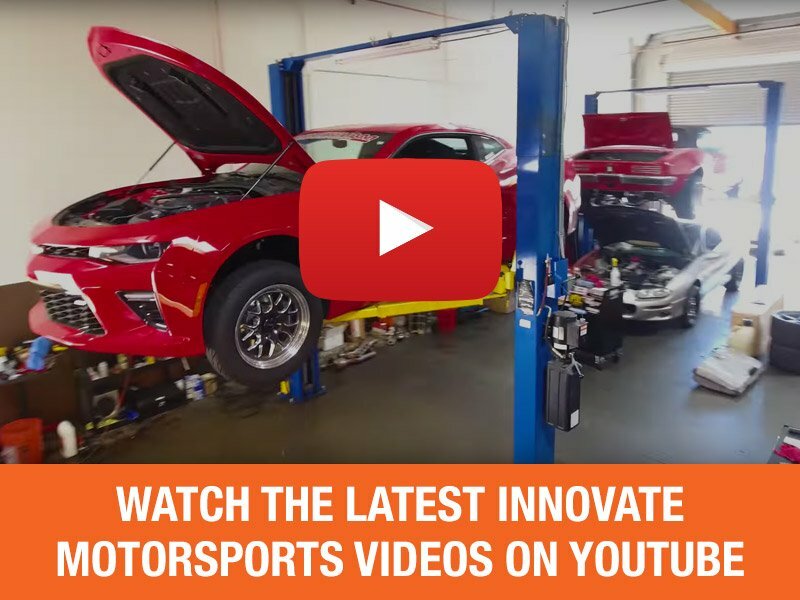 Get more tech info on the importance of braking parts here. (Left) ProX chain and sprockets offer improved performance and wear over OEM. (Right) ProX brake components use a combination of wave rotor design and sintered pads for responsive and strong braking, while staying cool and wearing slowly.